STOP PRESS: The Geffrye Museum is closed for major renovation until Spring 2020. Strolling up the Kingsland Road in Shoreditch under a louring railway bridge, past trendy coffee shops and a whole slew of Vietnamese restaurants, the last thing you expect to smell is freshly mown grass but that is exactly what we greeted us when we visited the Geffrye. A wide expanse of grass is surrounded by a stately set of early 18th century alms-houses that for 200 years were home to 50 deserving pensioners. By 1914 Shoreditch was dirty, noisy and unwholesome so the alms-houses became a museum of the home. 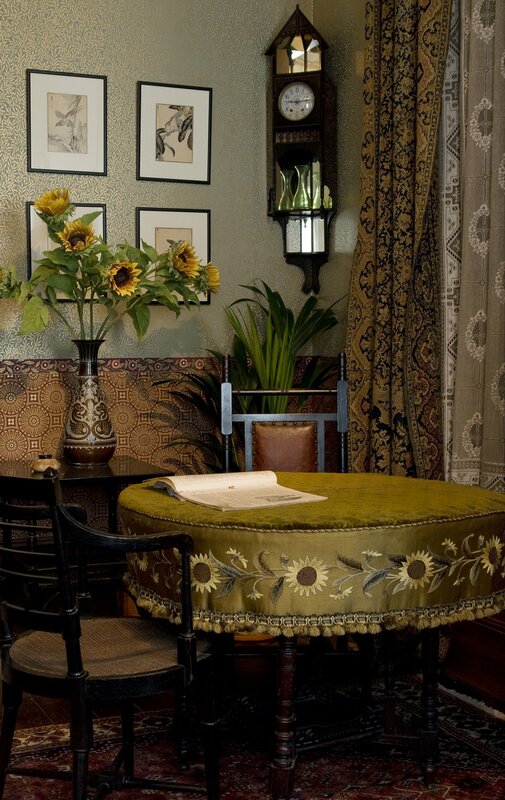 The Geffrye tells the story of the changing home via a series of room-sets that reproduce the middle class parlour from 1600 to the present day. Each room-set is preceded by a display explaining what was changing in the middle class home and why. The early 17th century was when a distinct urban middle class began to emerge, not wannabe aristocrats but people engaged in the law, business and manufacturing with enough money to express their own set of values. In this period the family home would have also housed the business and its employees, so the main room of the house would see all the servants, employees and family sit down together to eat three meals a day: breakfast, dinner and supper. The room would be dominated by a table large enough to seat the entire household. To make them cosy, the walls were panelled with wood and the floors covered with rush matting. By the end the 17th century working from home was still the norm but there is beginning to be a division between family and servants. 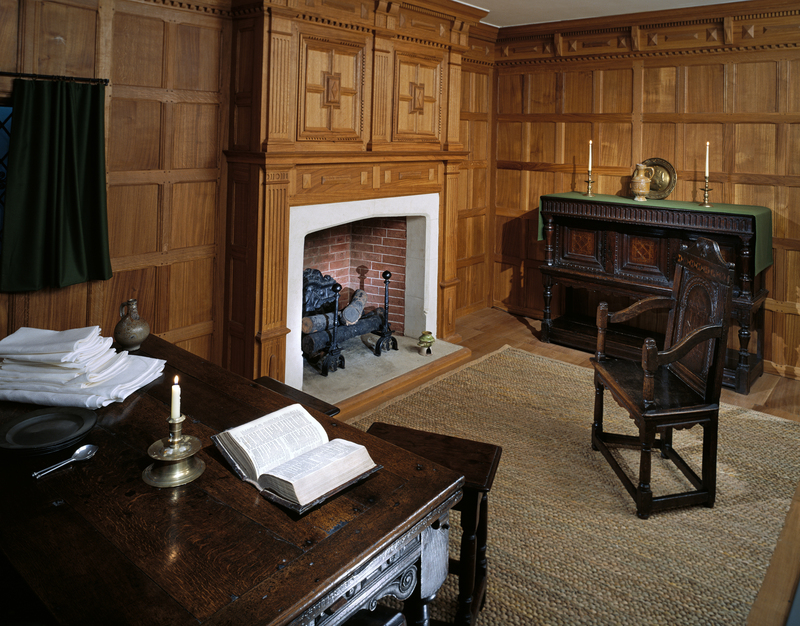 The room from 1695 has a magnificent walnut writing cabinet full of hidden and locked compartments to keep business and other secrets hidden. Technological breakthroughs and the opening up of new trade routes are all reflected in the home. New dyes mean that curtains go from being predominantly green to red. Tea parties become de rigueur among the polite middle class, the lady of the house presides over the making of tea as it such a precious commodity. The end of the 18th century sees the Industrial Revolution in full swing with lots of new knick knacks to furnish a home. As the nineteenth century bursts in, business has left the home and the parlour has become the domain of the lady of the house with servants now only appearing in the parlour to serve. Factories are pouring out things for the expanding middle class to buy. Floors are now covered in fitted carpet, windows are dressed with “Venetian” blinds and nets as well as curtains. The familiar Victorian image of a parlour full of stuff is in full fig. Slowly the light fittings begin to change; smoky candles give way to smoky oil lamps, which in turn are over taken by town gas lamps. Smoky town gas lamps, of course. All that smoke means that the servants have to clean the rooms every day. The dawn of the 20th century sees electric light, a move to the suburbs, a simpler Arts and Crafts aesthetic and French windows out onto suburban garden. By the 1930s servants have left the family home, purpose built modernist blocks of flats boast not only electricity but also smokeless central heating. No smoke, no servants. Mid-century chic is shown in all its glory as living space becomes more open plan and, to my shock objects from my childhood home peak out at me. Hardly over the surprise of my parent’s home being history, next up is a 90’s loft style apartment redolent of my early attempts at homemaking. 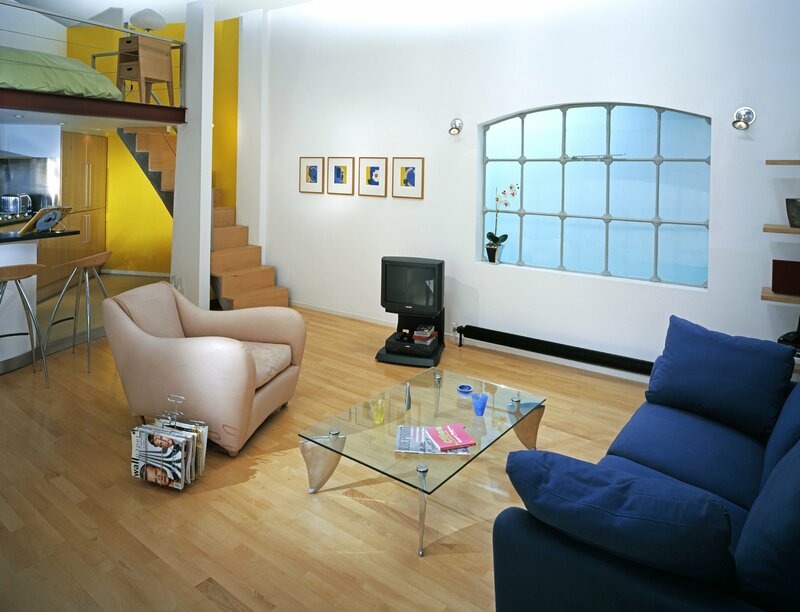 It looks modern but also curiously old fashioned and there I can see the Sony micro system and many other items that I either had in my house at the time or coveted on visits to the Conran shop. There are no iPads, Wiis, TVs on walls. The TV has a cathode ray tube and the telephone a curly flex: where are these things now? Well in a museum of course. The Geffrye has a fine shop and a light and airy restaurant serving tasty lunches all housed in an airy extension built at the end of the last century. Outside, a series of gardens shows how needs and trends have changed the domestic garden, although I’m afraid that we didn’t see any of the gardens as it was raining – maybe next time! 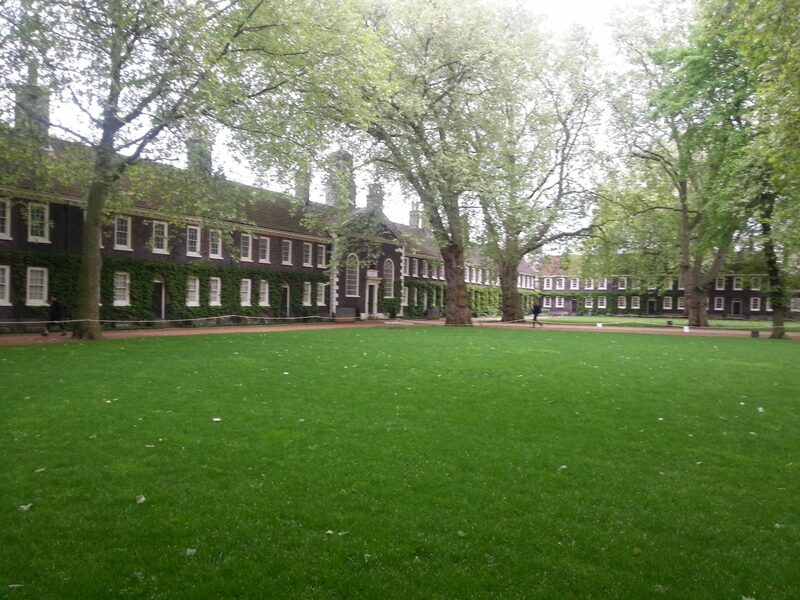 You are spoilt for choice for coffee and lunch spots in and around the Geffrye. We opted for coffee at The Dictionary at 10-20 Kingsland Road and lunch in the museum’s own cafe. At Christmas the Geffrye is decorated for the festive season, click here to see the halls decked with holly.